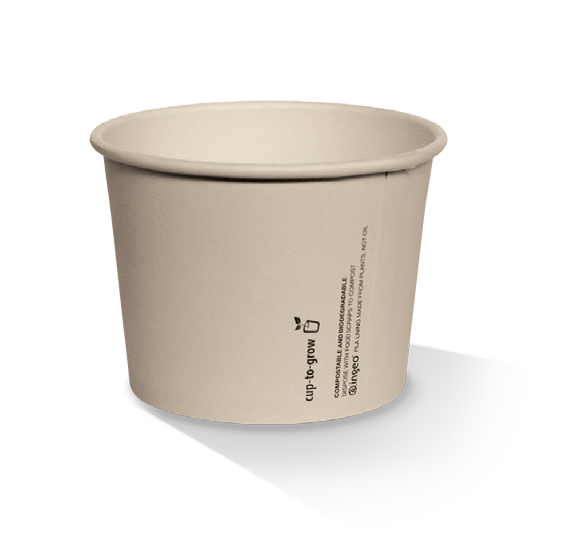 Eco-friendly paper bowls / Cup-To-Grow. Leaf print. 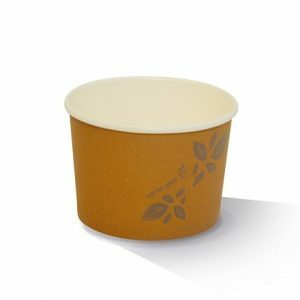 This new range offers a sustainable alternative to traditional food containers yet maintaining the level of convenience offered by disposable packaging. 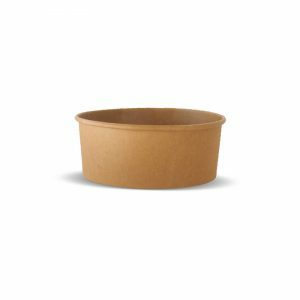 To provide moisture barrier Cups-To-Grow are lined with a bioplastic lining PLA (poly-lactic-acid) harvested from corn starch, natural annually renewable resource. The production of PLA produces fewer greenhouse gas emissions when compared to conventional plastic production. Food safe, suitable for hot and cold food. 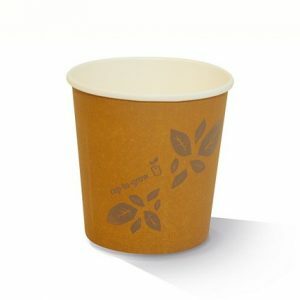 Paper Cups-To-Grow are lined with Ingeo PLA, available with matching lids*. 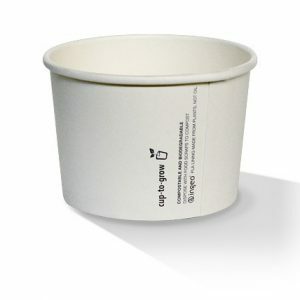 Eco-friendly paper bowls / Cup-To-Grow. Plain white. 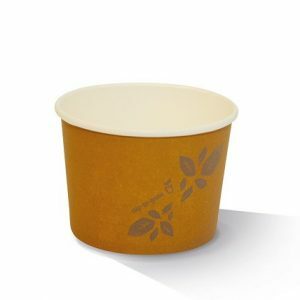 This new range offers a sustainable alternative to traditional food containers yet maintaining the level of convenience offered by disposable packaging. 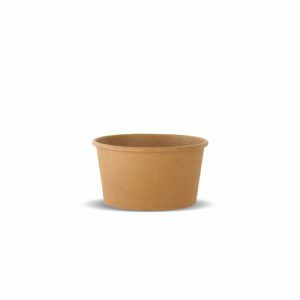 To provide moisture barrier Cups-To-Grow are lined with a bioplastic lining PLA (poly-lactic-acid) harvested from corn starch, natural annually renewable resource. The production of PLA produces fewer greenhouse gas emissions when compared to conventional plastic production. 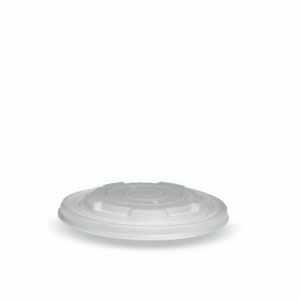 Biodegradable CPLA flat lid / fits 12,16,24 & 32oz bowls. 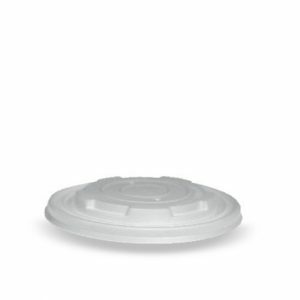 Greenmark lids are made from a bioplastic / PLA (poly-lactic-acid) harvested from corn starch, natural annually renewable resource. The production of PLA produces fewer greenhouse gas emissions when compared to conventional plastic production. Food safe. 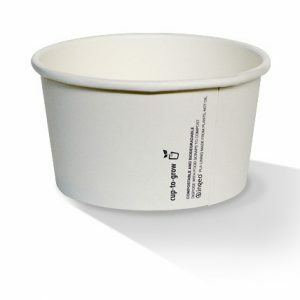 Biodegradable CPLA flat lid / fits 8oz bowls. 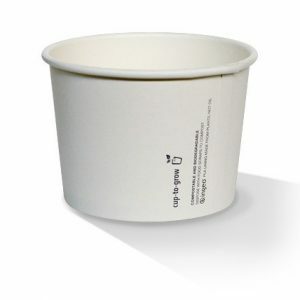 Greenmark lids are made from a bioplastic / PLA (poly-lactic-acid) harvested from corn starch, natural annually renewable resource. The production of PLA produces fewer greenhouse gas emissions when compared to conventional plastic production. Food safe. 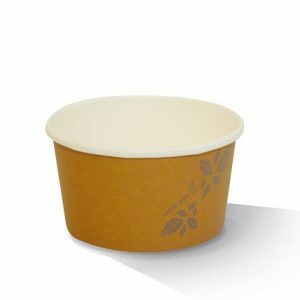 Perfect for takeaway soups, pasta and salads.